I had run across this particular photo on pinterest and immediately fell in love. I HAD to find the owner to such a colorful photo. That's when I was led to Little Miss Shabbys website. Here you can find beautiful quilts and quilting patterns. Thanks for this weeks color inspiration! 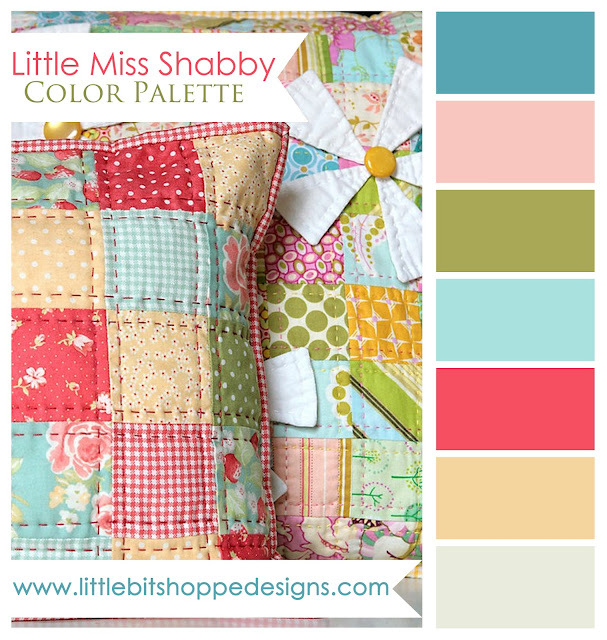 You can post Little Bit's color palettes on your own blogs, but you need to give attribution to Little Bit Shoppe Designs and supply a link to the original blog post. Please do not modify the image or color palettes. All images need to stay exactly as they were originally posted. We like to give proper credit to the photographer or website of the images used along with a link when possible. If you are a photographer and you'd like to see what colors we can pull from your photographs, please feel free to send them our way.